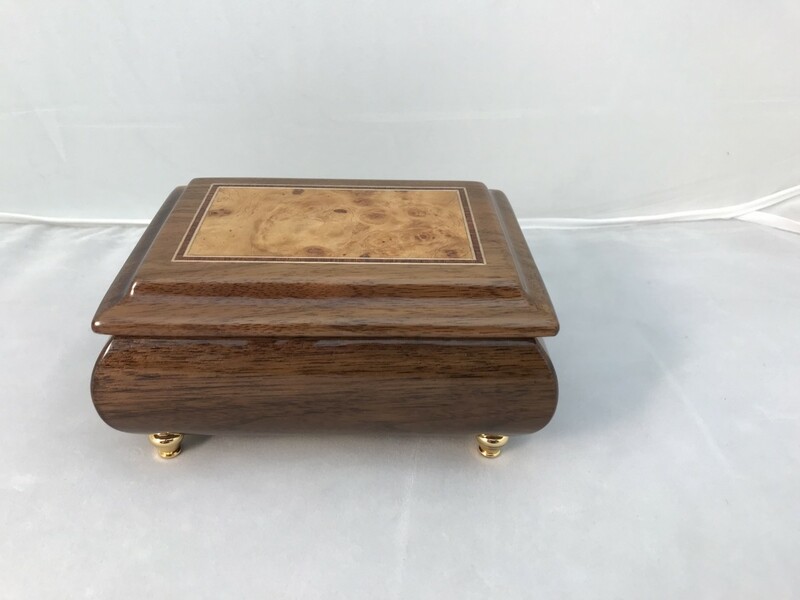 Walnut with light burl on lid and a nice compartment inside. 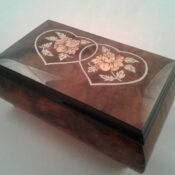 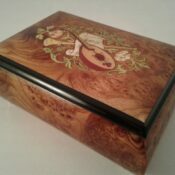 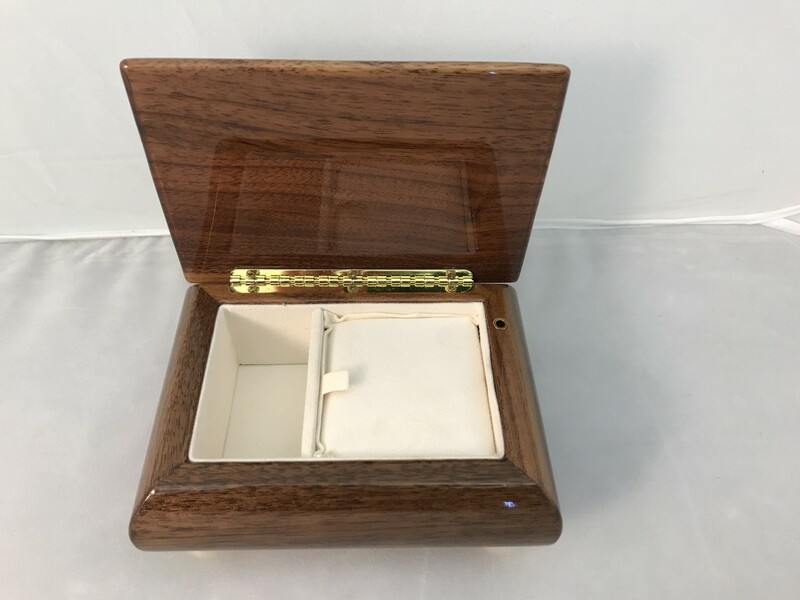 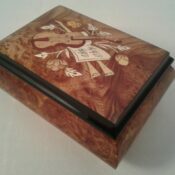 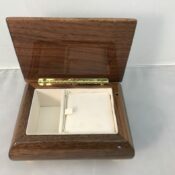 Walnut box with light burl on lid. 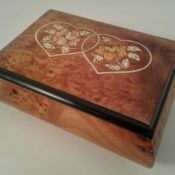 size 5 1/2 x 3 3/4 inches.